Please feel free to contact Tara if you need a service that is not listed below. Dogs are social creatures and need a daily walk of at least 30 minutes for their well-being, as well as yours. Dog walks are great to tire dogs out, and to get them out of the house during the day while you are busy with work or errands. In the event you are gone for a long period of time and need someone to check up on your pet(s) at your house, Tara’s Dog Services offers in-house visits up to 2xs a day. 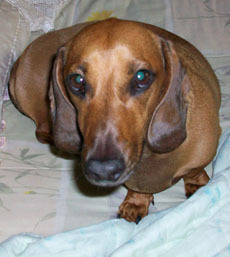 Tara’s Dog Services is also able to take care of your other pets besides dogs, such as fish, rabbits, cats, birds, etc. Each visit includes, but is not limited to potty breaks, feeding, changing of water bowl, play time, and lots of belly rubs. *2 visits are required for dogs that are left alone for a continuous time period of 12 hours or more. For those pet owners who want something a bit longer than 30 minute visits for their pets while they are gone for a long period of time, Tara’s Dog Services also offers hourly pet sitting. If you would prefer to have a trustworthy, responsible, and fellow animal lover stay at your house to take care of your pet(s) and house while you are away on a trip you have come to the right place. Offering overnight pet/house sitting, which includes bringing in the mail and newspaper, taking out trash bins, multiple daily walks for dog(s), changing kitty litter, watering plants, and more.